Here are the lunations, Full and New Moons, of November 2017. 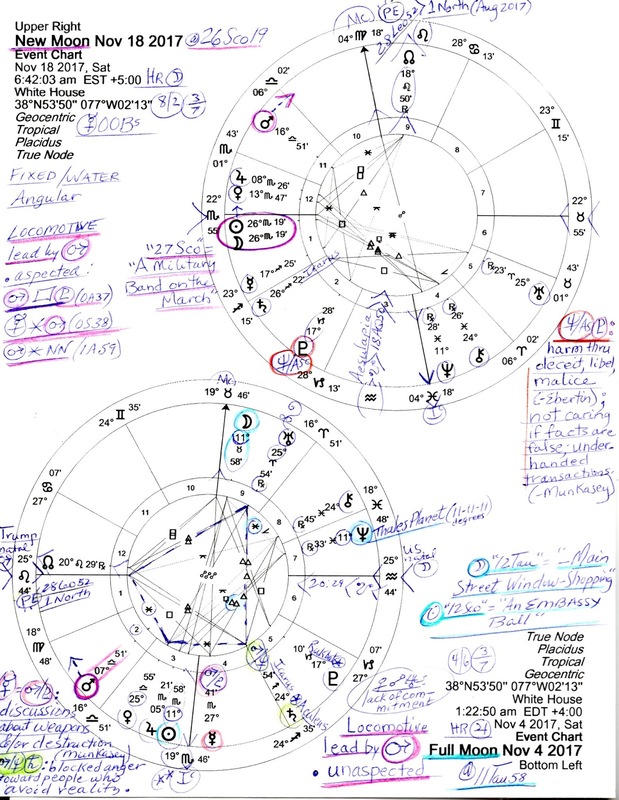 The charts are set for the White House and both show warrior Mars in Venus-ruled Libra as lead planet of a Locomotive shape which denotes success and power through an executive eccentricity--a self-driving individual (Jones). 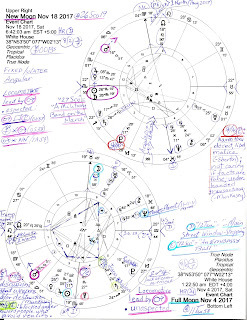 Given that Mr. Trump's natal Mars rises in his chart, he is an obvious guess as to the identity of this Mars @7Libra which by transit has just conjoined his natal Neptune (5Libra) (unwise decisions, misunderstandings, actions misguided or undermined) and at the New Moon approaches Trump's natal Jupiter (17Lib27 Stationary Direct), a time when plans and appetites are expanded or widened, whether practical, wise, or not. 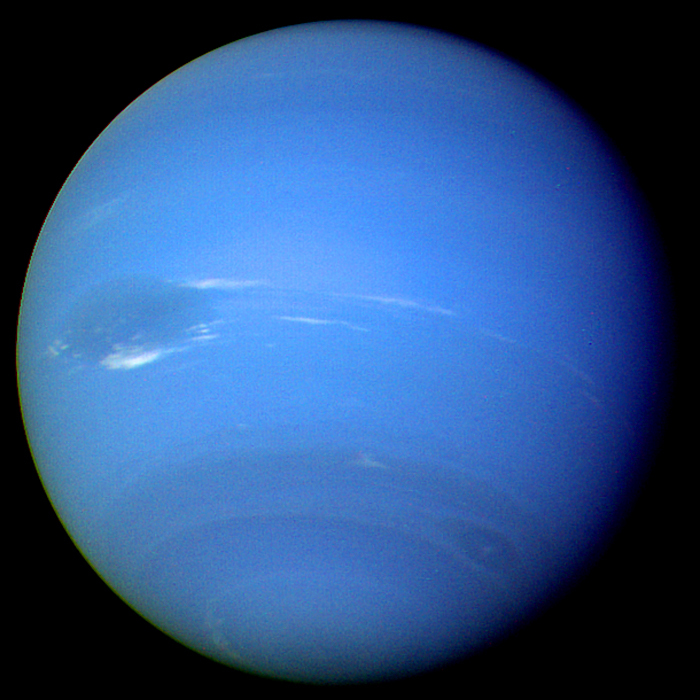 And once transit Mars nestles between Mr. Trump's inflated natal Neptune and Jupiter, a midpoint picture forms suggesting potentials for: unreliability, irresponsibility, being let down by others, speculation, and/or an urge to realize plans without prospect (Ebertin). Not so different than his usual behavior, is it? 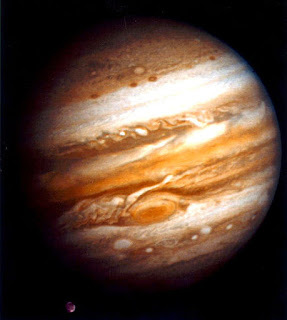 However, we should note that at the November 4, 2017 Full Moon, Mars leads but is unaspected by the rest of the planets (actors) which may describe Trump not listening to the advice of others for here is a man of power who has withdrawn from various associations and left himself (and the US) isolated. This resonates with the Inauguration 2017 horoscope which shows only the Sun (POTUS) in 10th house (World Stage), all alone by his telephone. Note that in the Full Moon chart, weaponry and destruction continue to be topics of discussion (Mars-Pluto = Mercury) and some people feel anger and frustration at those who avoid or deny reality (Mars-Neptune = Saturn). 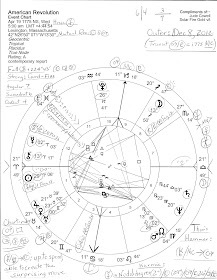 Yet by the time of the November 18th New Moon, fighting Mars is more involved with other actors and, penned on the chart by the New Moon image, are Mars's aspects--the first is important since Mars is chart-ruler (ASC 22Sco55; co-ruled by Pluto @17Cap28) and applies to a square with powerful Pluto. This indicates a period of power struggles, revenge, and jealousy, plus, past actions come up and may cause blockages or obstacles that must be cleared away before current actions can succeed. 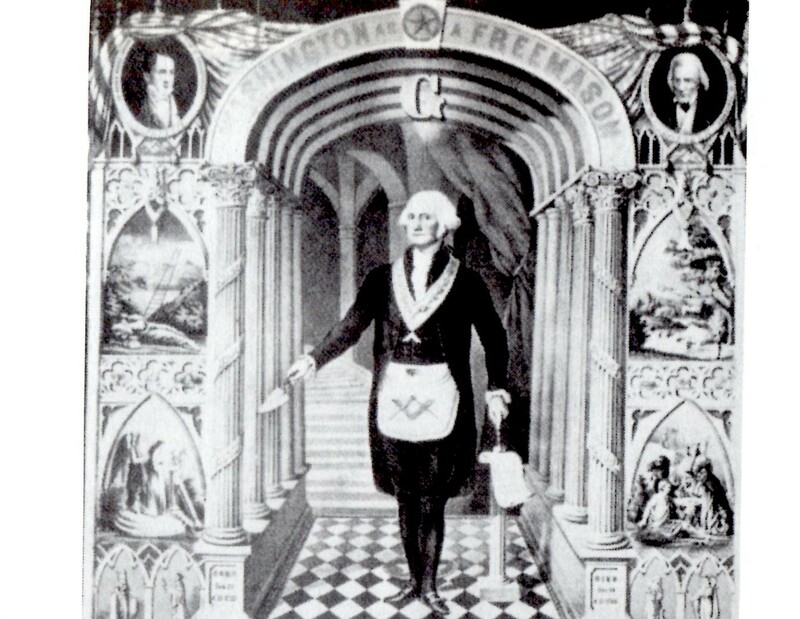 Of course, Libra is the sign of diplomacy and Mars in the sign can indicate that too much frankness (or off-hand remarks, insults, and tweets) tend to cause anger and a lack of cooperation (which we've already seen from Mr. Trump as he argues with his own political party and insults anyone who disagrees with or criticizes him). Additionally, too much dependence on moods and feelings, whether from the gut or not, proves to be unwise, another tendency we've seen from the Moon-SN-directed Mr. Trump. Before closing, perhaps we should add another astro-note concerning the Full Moon @11Tau58 for it has a Thales Planet--Neptune @11Pis33 Rx for Neptune sextiles the Moon, trines the Sun, and perhaps in this role may relieve some of the tension or pressure inherent in the solar-lunar opposition--even if it takes Neptunian lies and fantasies to do it.